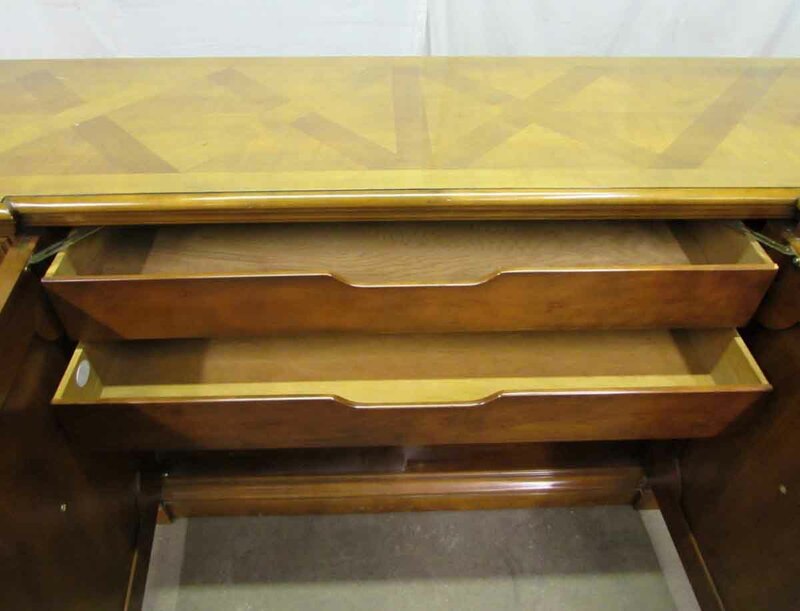 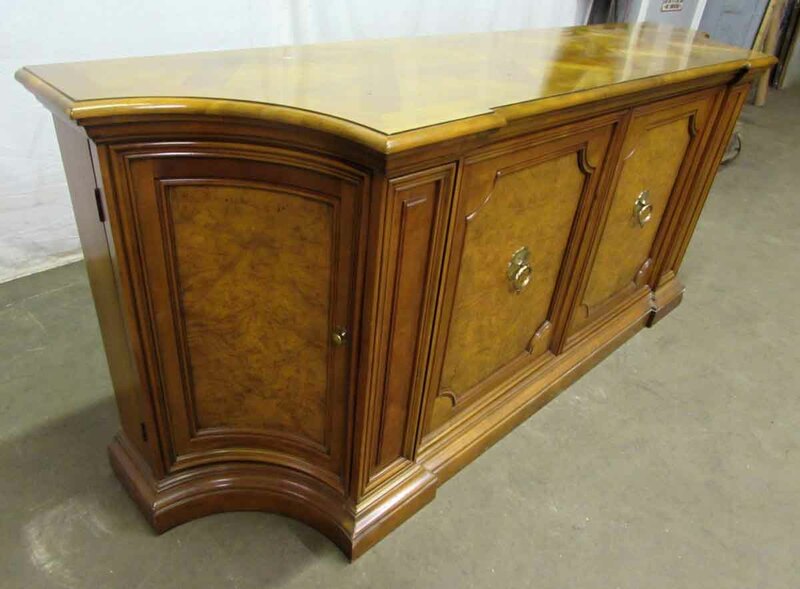 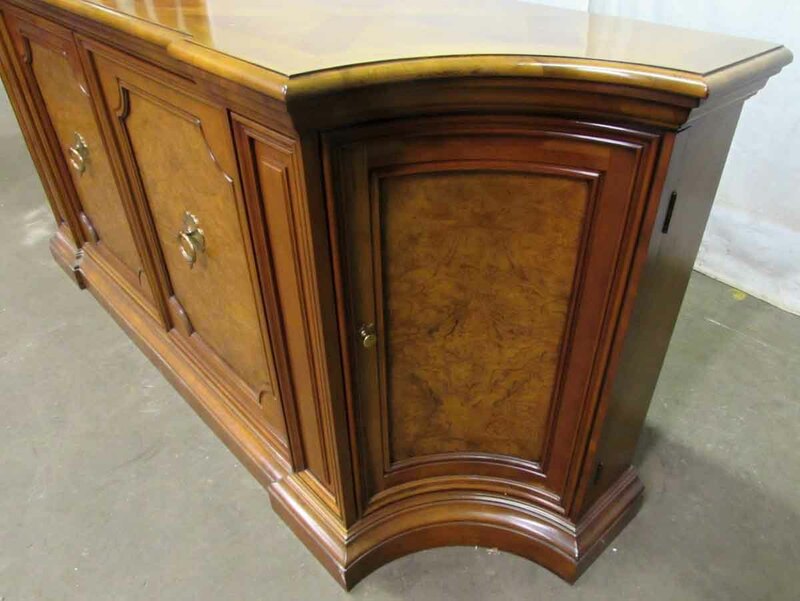 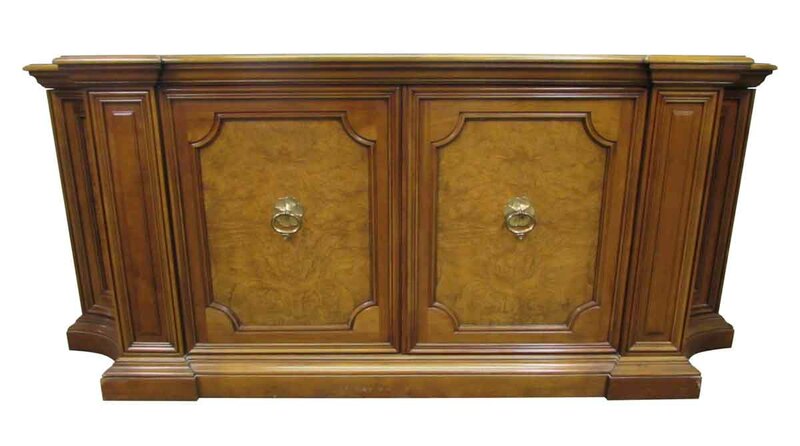 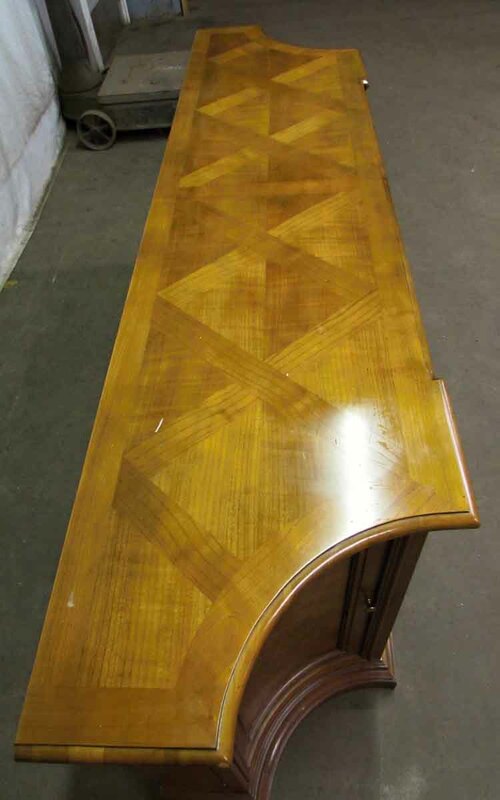 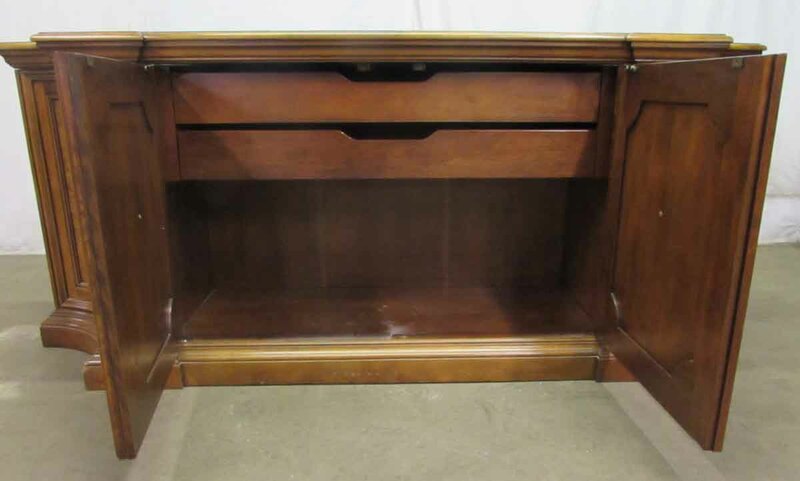 This is a large wooden sideboard with a two tone wood stain. 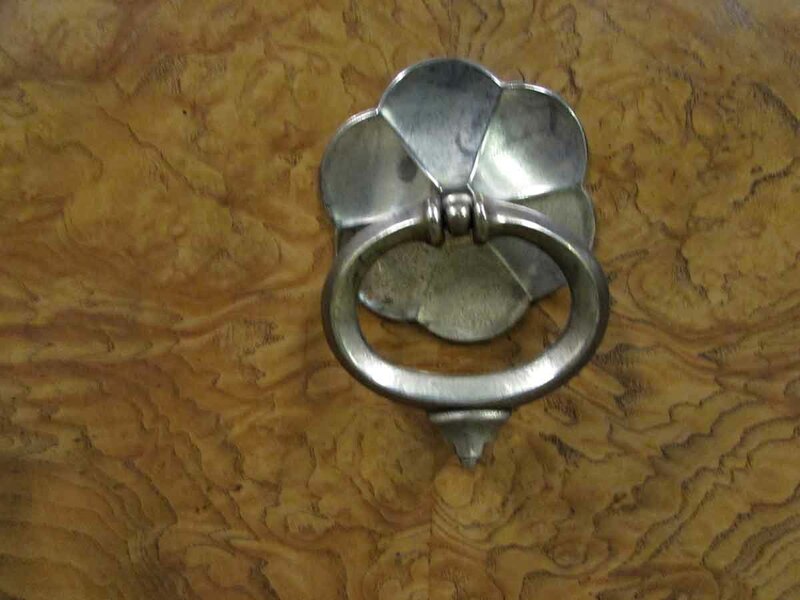 There are two doors that have round brass pulls with floral embellishments. 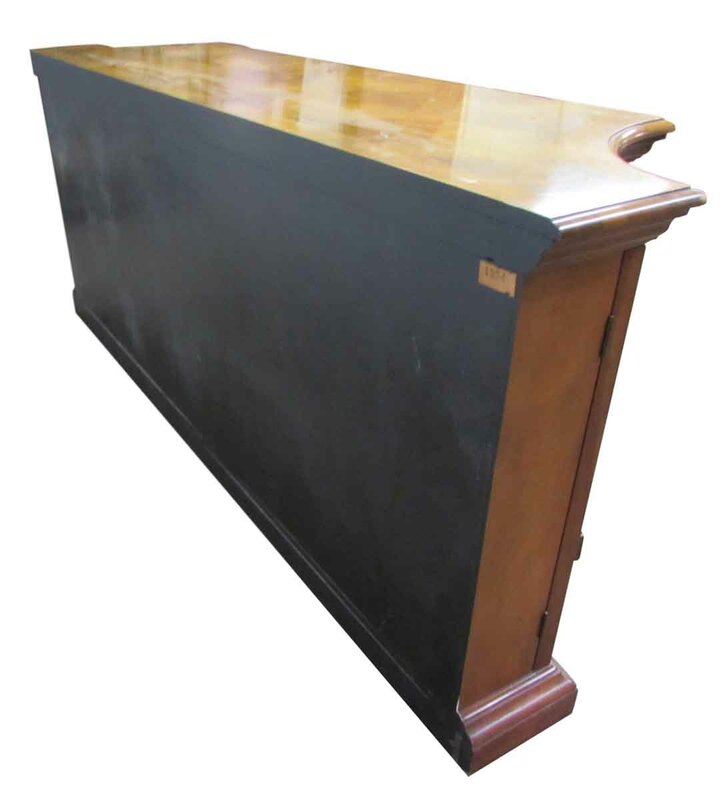 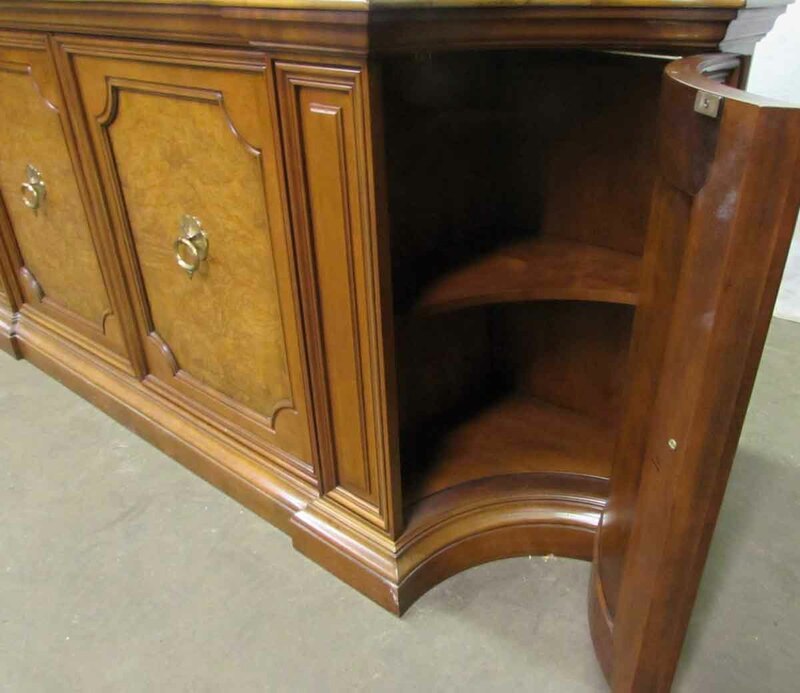 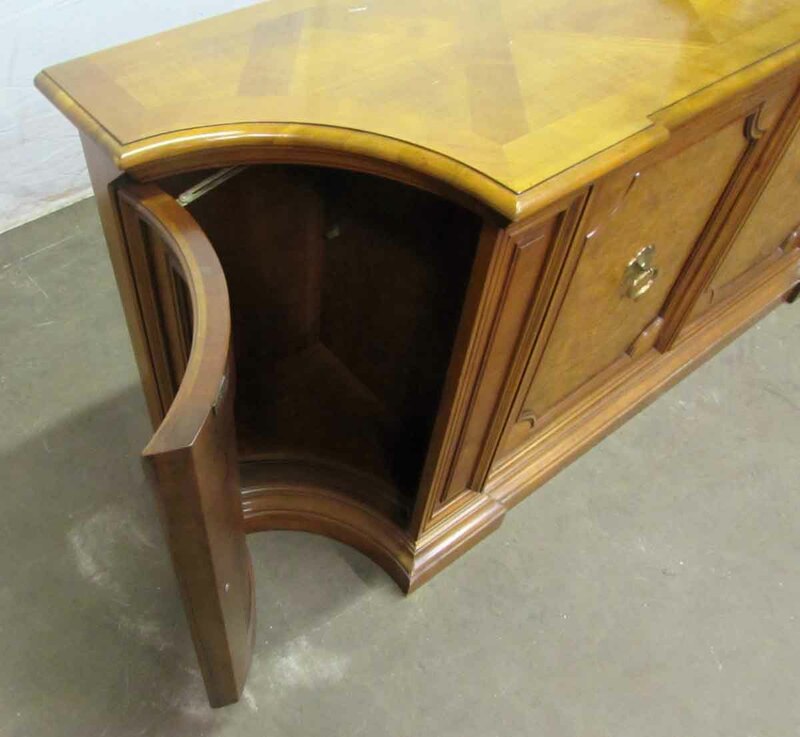 Each corner has a curved dark wood embellishment and the back two legs are set out farther than the front two.